Solved Biology Objective Questions (MCQ Test Series) for preparation of NEET-ug, AIPMT and Medical Entrance Exams, Dental Admission Tests for MBBS, BDS and other competitions. 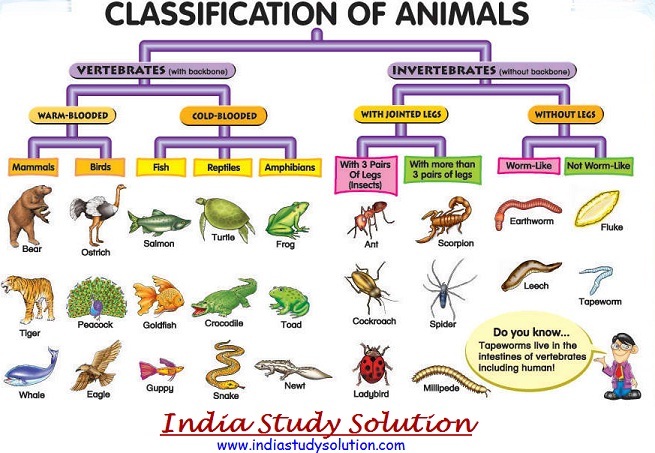 Salient features and classification of animals-nonchordate up to phyla level and chordate up to classes level (three to five salient features and at least two examples). Protozoa. Porifera. Coelenterata (Cnidaria). Ctenophora. Platyhelminthes. Aschelminthes. Annelida. Arthropoda. Mollusca. Echinodermata. Hemichordata. Uro-chordata. Pisces. Amphibia. Reptilia. Aves. Mammalia. Question 25: Which one is the best silk? Question 26: Which one of the following categories of animals, is correctly described with no single exception in it? Question 27: Which of the following character is exclusive to mammals? Question 28: Which one of the following is not a characteristic of phylum Annelida? Answer 21: (d). Answer 22: (b). Answer 23: (a). Answer 24: (d). Answer 25: (b). Answer 26: (b). Answer 27: (d). Answer 28: (d). Answer 29: (c). Answer 30: (b).